Domain Apartment is a refurbishment of an existing apartment in a 1990’s eight storey apartment building overlooking Auckland’s Domain. The size of the apartment remains the same but a complete rethink of the way in which it functioned has led to a much more open and flexible arrangement of it’s rooms and the way in which they interact with each other. 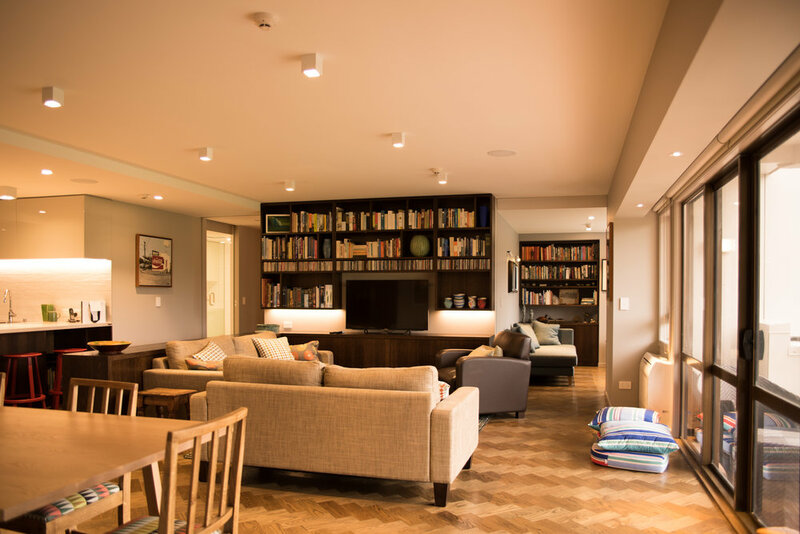 The services were brought up to current standards including home automation, acoustic separation from the other apartments, new lighting, kitchen and bathrooms and new flooring throughout. 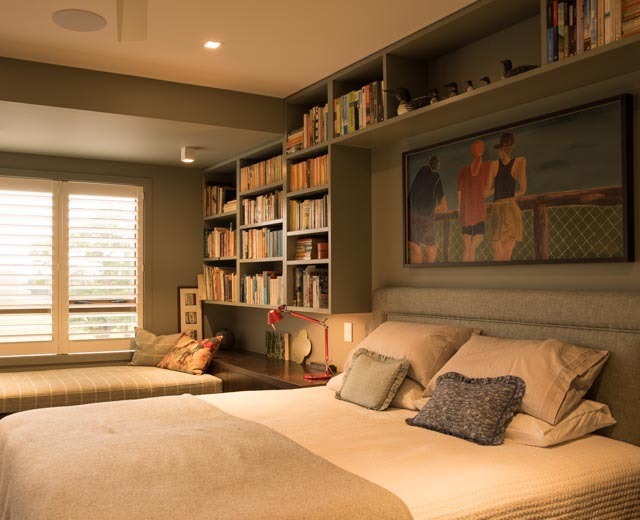 Two of the bedrooms are designed so that each functions as an office and bedroom and both open into the living and dining area through large cavity sliding doors. In the apartment’s most open configuration the views to the Domain from the kitchen, living, dining,and bedroom / offices are much more expansive and at the same time allow much more light and sun into the interior. 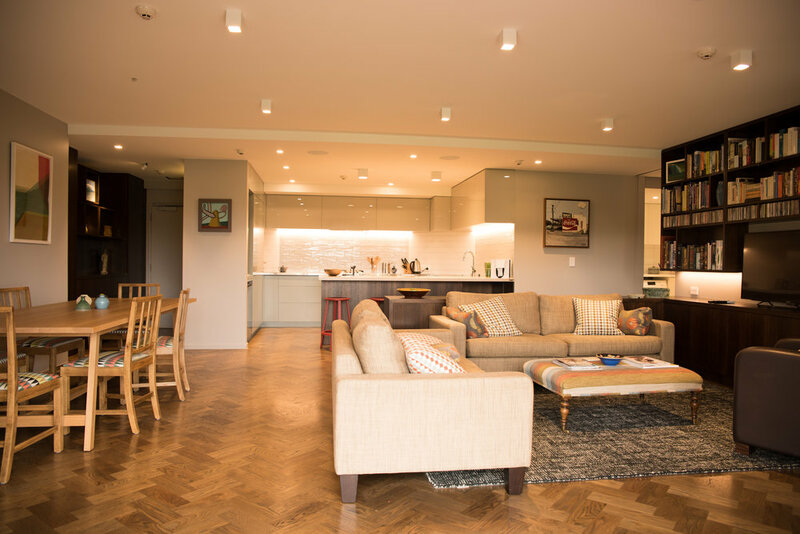 The design of the built-in cabinetry played a large role in defining particular areas, such as the sitting area from the dining area and kitchen, and by raising the ceiling over the dining and living areas a greater sense of space was achieved. Subtle background wall colours and bright fabrics along with interesting art has made this a contemporary and comfortable environment reflecting the owners interests and tastes.